These wrappers have velcro attached with it that helps you wrap the baby completely and makes it really safe and sound to carry/make them sleep. 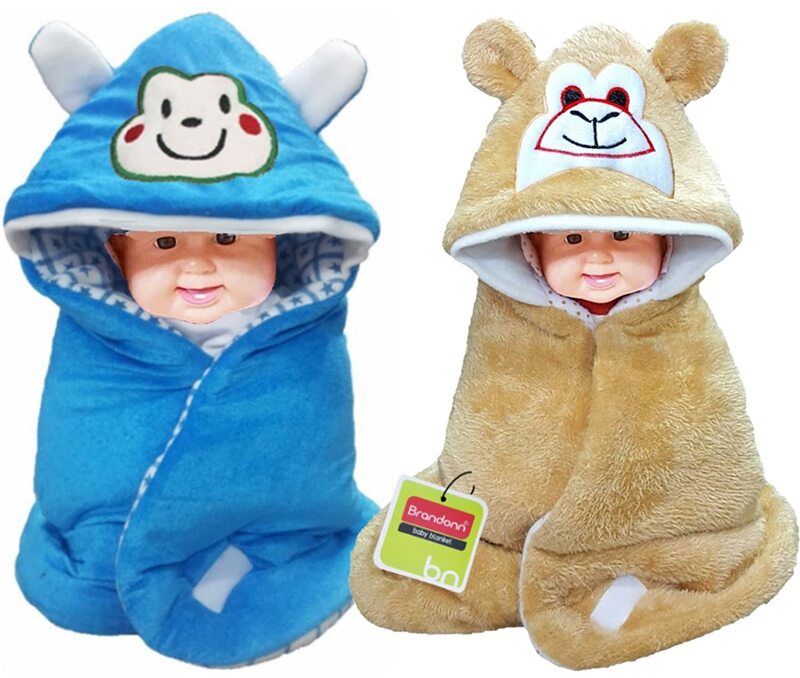 It has hood attached with it that helps protects baby's head from dust and cold breeze. Beige and Blue pack of 2.